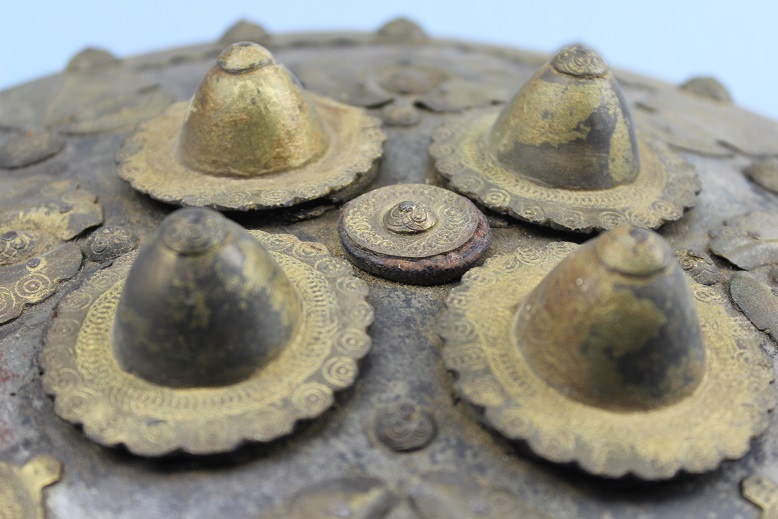 A fine example of a rare Baluchistan buckler. 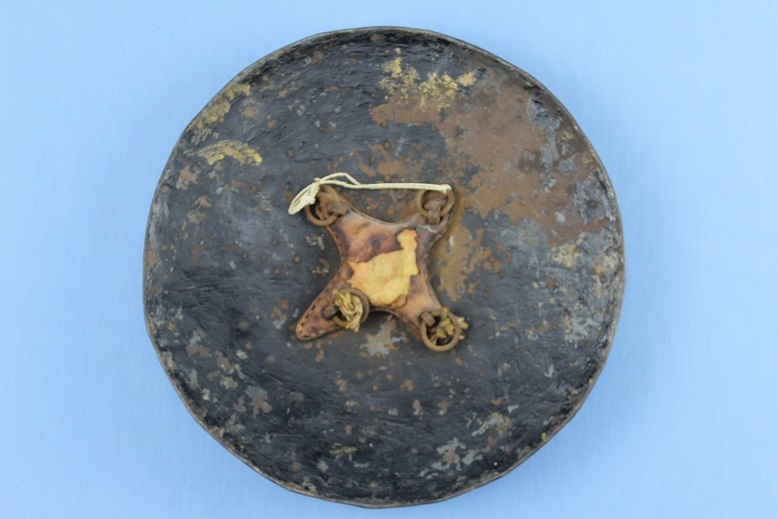 This iron Sipar or Buckler measures 30cms across. 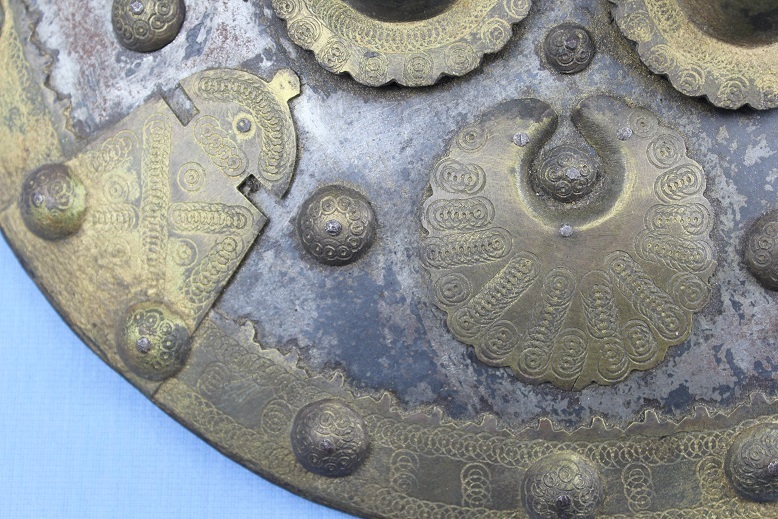 The shield is hammer forged steel with gilt steel and brass decorative fittings to the outer face. 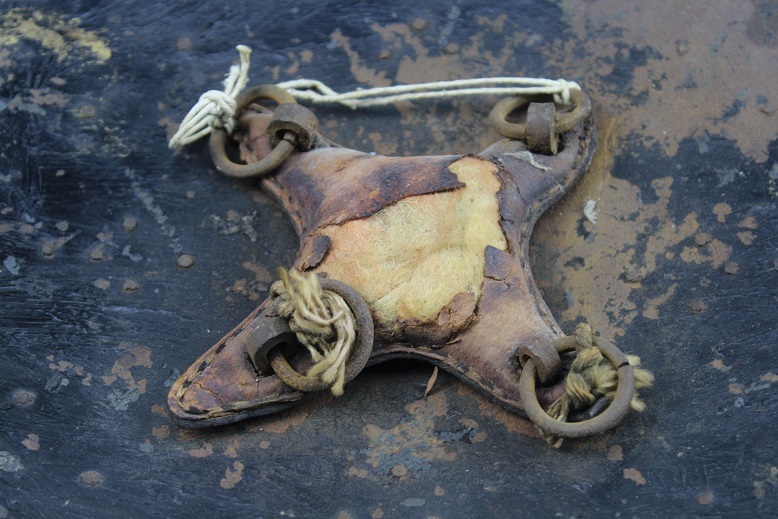 The reverse retains its original leather knuckle pad, now showing age losses to the centre, four iron suspension rings, but lacks the two leather straps which attached to these rings. The front displays four large gilt iron bosses and a multitude of large and small decorative motifs and borders, applied decorations that have a more practical application in that they control and slow and parried sword strokes. 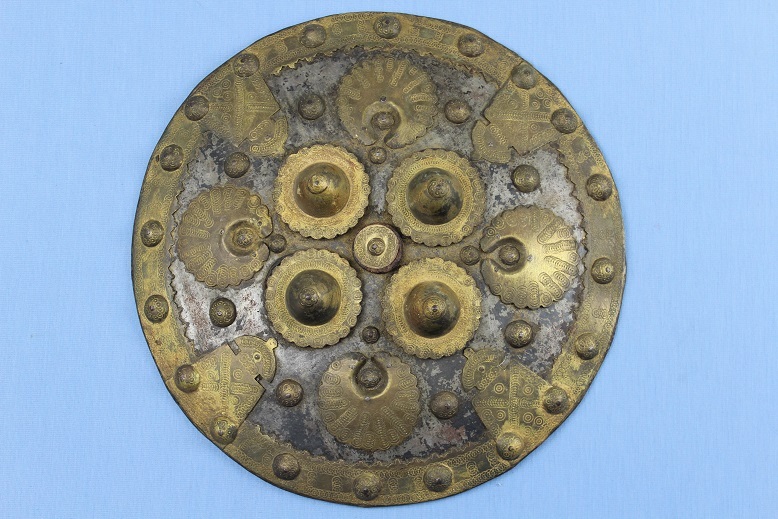 A fine example of a seldom seen shield.